Many words have opposites, and we learn many of them in the classroom. Blunt and sharp, odd and even, private and public, thick and thin. Some words have several opposites eg. modern, new, young are opposites of old. The literary term for these words are antonyms, though grammarians would say that some antonyms are not strictly opposites. For example, parent and child, teach and learn, doctor and patient, floor and ceiling, are only opposites when used in the context of their relationship. There are also opposites formed by the use of prefixes such as dis-, ex-, im-, in-, irr-, non-, un-, eg. able and unable, conformist and nonconformist, discreet and indiscreet, fortunate and unfortunate. 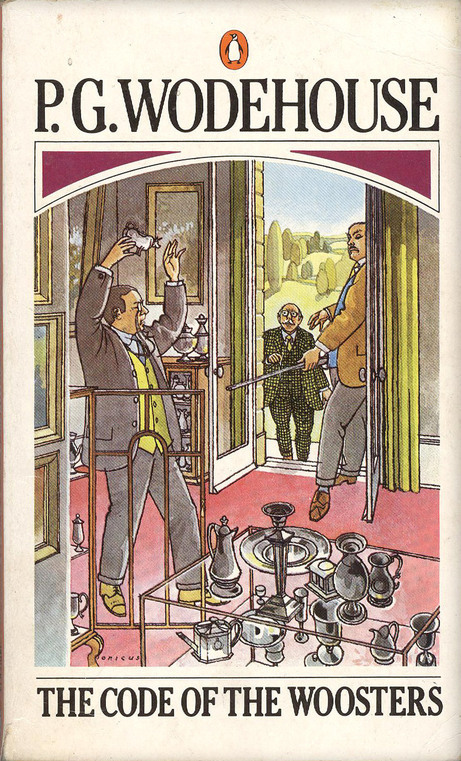 In The Code of the Woosters published in 1938, P G Wodehouse wrote ‘He spoke with a certain what-is-it in his voice, and I could see that, if not actually disgruntled, he was far from being gruntled’. Here ‘gruntled’ is used as an opposite to humorous effect, but in fact ‘gruntle’ by the end of the 16th century came to mean grumbling or complaining, so the dis- prefix intensifies the original word rather than creating an opposite. Prompted by my sister-in-law who has an interest in such things, there are quite a number of negative words which when the prefix such as dis- or un- is removed, don’t have an opposite. Someone can be described as unkempt, unruly, disconsolate or uncouth, but we don’t usually say that they are kempt, ruly, consolate or couth. Here are some other words that use prefixes but which don’t have opposites. defenestrate, dejected, disdain, disgruntled, disrupt, impetuous, impromptu, inane, incessant, inchoate, incognito, incommunicado, indescribably, indomitable, ineffable, infernal, infinity, inhibited, innocuous, insidious, insipid, insouciant, intact, invert, misgiving, misnomer, nonchalant, noncommittal, nondescript, nonpareil, nonplussed, nonsensical, unbeknownst, ungainly, unravel, unscathed, unstinting, unswerving, untold, untrammelled, untoward. And here are some words where the positive forms are rare or have fallen out of popular usage. These can all be described as unpaired words. Curiously, where the positive form previously existed, it is often the negative that has survived, as if we find negative words more useful and hence more enduring. Unkempt was derived from the Old English word kemb, ‘comb’, and its usual negative form was unkembed. But by 1580 unkempt was used to mean ‘inelegant language’; by the eighteenth century it meant ‘uncombed’ or ‘dishevelled’, and it took on its stronger sense of ‘not cared for’ in the middle of the nineteenth century. Unruly was formed as the opposite of ruly, an adjective from about 1400 meaning ‘law-abiding’. Then unruly meant ‘ungovernable’ or ‘disorderly’, whereas now it is ‘difficult to control’. Ungainly came into use around 1600, and was derived from its opposite gainly. In 1300, gainly, not a common word, had meant ‘straight’ or ‘near’, but quickly took on a figurative sense when applied to people of ‘well-disposed’ or ‘kindly’, or ‘useful’ when applied to objects. Thus ungainly meant ‘awkward’ or ‘ungraceful’, but gainly fell out of use. Untoward was formed from a medieval sense of toward that was applied to young people of ‘promising’ or ‘moving forward’ (in ability), and it meant ‘stubborn’ or ‘disinclined’ (to work). It developed its modern meaning of ‘unseemly’ or ‘perverse’ from about 1630. The origin of a negative word is often therefore quite complex with the negative form sometimes coming to mean something quite different from its positive obsolete predecessor. Sometimes because a prefixed word has come from another language, it only appears to be unpaired. In the case of dishevelled or dismayed, there never was shevelled or mayed, as the words come from the Old French deschevelé and desmaier. Similarlyinert has never had an opposite, ert, as the word comes from the Latin, ineptus, meaning ‘unsuited, absurd, foolish’.